A number of Palestinians suffocated by teargas on Wednesday during confrontations with the Israeli army, while live Israeli fire in Ramallah has left Palestinian youngster Ahmed Hassouna in critical condition. Clashes in Nablus erupted in the village of el-Lebban e-Sharkiya, to the south of Nablus, according to head of the village council Abdul-Hadi Oweis, who said that confrontations erupted after Israeli soldiers intercepted some students who were on their way home from school, spurring clashes with residents. He said that the soldiers fired teargas canisters and stun grenades, causing many locals to suffocate, according to WAFA. Also on Wednesday, PNN reports that Israeli forces shot young Ahmed Hassouna with three bullets, and arrested Samer Awwad after they broke into a residential building in Beitunya, West Ramallah, by dawn. Forces broke into Khudeir residential building and searched apartments, when soldiers directly shot Ahmed with two bullets in his feet, and a third in his loin. Soldiers also reportedly blocked ambulances from moving Ahmed to the hospital, leaving him to bleed for more than half an hour. Clashes took place between Israeli forces and dozens of Palestinians in the area, where soldiers fired teargas, sound bombs and metal bullets towards a number of Palestinians armed with stones. In related news, WAFA correspondence reports that the council of Islamic Waqf and the Supreme Muslim Council (SMC) warned, Wednesday, against Israel’s plans to install electronic gates at the entrances leading to Al-Aqsa Mosque Compound in Jerusalem, as the move is tantamount to imposing full Israeli control over the complex. Israeli sources claim that the sum of NIS 4 million (about $1 million) was allocated for the plan, which is being implemented clandestinely by Ministry crews, in order not to cause a major upheaval. Both Councils reportedly slammed the plan as a gross violation of the sanctity of the mosque, a restriction of the freedom of worship and a gross interference in the powers and prerogatives of the Islamic Waqf, which represents the entire Muslim world. Israeli forces early Wednesday shot and seriously injured a Palestinian man and detained another after raiding an apartment building in the town of Beituniya south of Ramallah, locals said. Locals told Ma'an that Israeli soldiers stormed the Khdeir building in the town and broke into an apartment where they opened fire at Ahmad Hussana, hitting him three times. He was shot twice in the feet and a third time in the waist. Witnesses said Hussana was left bleeding in the apartment for 30 minutes before soldiers allowed a Palestinian ambulance to take him to the hospital. The soldiers detained another man from the building, who was identified as Samir Awwad, locals said. Clashes then broke out in the area between Israeli forces and Palestinian youths, who pelted the the soldiers with stones. The soldiers responded with tear gas, stun grenades, and rubber-coated bullets. No injuries from the clashes were reported. An Israeli army spokeswoman said she would look into the incident. 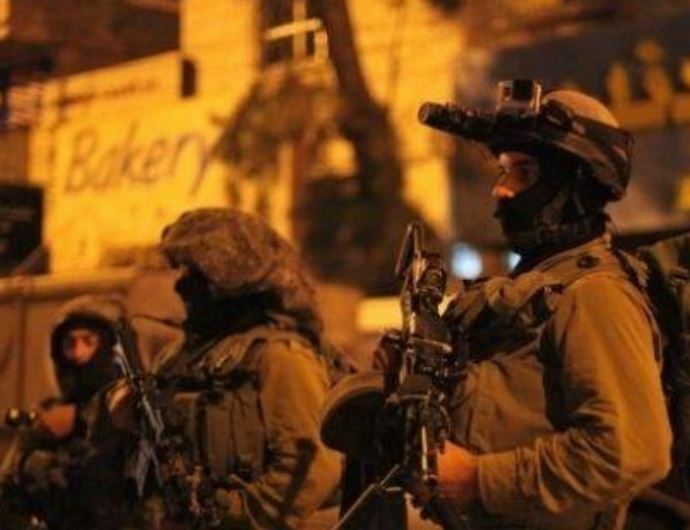 Israeli soldiers kidnapped three Palestinians, including two former political prisoners, in occupied East Jerusalem, and two others in Beit Surik town, northwest of Jerusalem. One Palestinian seriously injured near Ramallah, and one kidnapped. Local sources said clashes took place in Silwan town, south of the Al-Aqsa Mosque in Jerusalem, and that the soldiers fired gas bombs, rubber-coated metal bullets, and rounds of live ammunition. The soldiers then kidnapped former political prisoners ‘Ala al-Maqdisi and Mohammad Amin al-Ghoul, from Wadi Qaddoum neighborhood in Silwan, south of the Al-Aqsa Mosque. ‘Ala, member of the Popular Front for the Liberation of Palestine (PFP), was previously imprisoned by Israel for twelve years, and was released on April, 4 2013. Soldiers also kidnapped ‘Amer Zeidani, 19, from Silwan town; he is also a former political prisoner who spent two years in Israeli prisons. In related news, soldiers broke into the home of resident Mohammad Sinnawi, a political leader of the PFLP, and handed him a warrant for interrogation. Army also kidnapped Mohammad Rashed Sheikh, 18, and Mahmoud Tawfiq Dar Abu Ismael, 18, while working in their families' agricultural lands in Beit Sorik town, northwest of Jerusalem. The army has kidnapped more than 250 Palestinians in Jerusalem, in the last two weeks; many of them are former political prisoners. 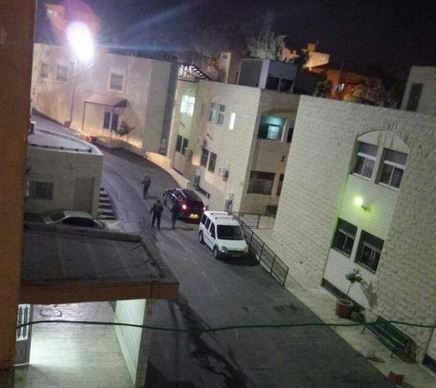 In addition, soldiers invaded Betunia town, near the central West Bank city of Ramallah, broke into a residential building, and injured one Palestinian. Local sources said Ahmad Hassouna was shot by three rounds of live ammunition in his leg and abdomen, and was moved to a hospital suffering life-threatening wounds. Soldiers also kidnapped Samer ‘Awwad in the same building, and took him to a nearby military center. 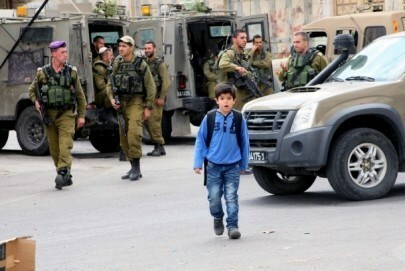 On Tuesday evening, soldiers kidnapped a child in Hebron city, in the southern part of the West Bank. His family said the soldiers kidnapped Yousef Raed Abu Sneina, 12, after storming their home in Jardoun area, south of the city, and ransacking it. In related news, the Ofer Israeli Military Court, near Ramallah, sentenced a Palestinian woman, identified as Nahil Abu ‘Aisha, 33, from Hebron, to 33 months and a 2000NIS fine. Abu Aisha was kidnapped on March 14 2013, and is currently held at the HaSharon Israeli prison; she suffers from several health conditions. Several Palestinians were injured with rubber-coated steel bullets and suffered severe gas inhalation during clashes with Israeli forces in northern Bethlehem. A Ma'an reporter said that Israeli forces fired rubber-coated steel bullets and tear-gas bombs at Palestinians near the military checkpoint in northern Bethlehem. Dozens of Palestinian youths organized a march to commemorate the 10th memory of Yasser Arafat’s death toward the military checkpoint between Bethlehem and Jerusalem. Youths threw rocks and Molotov cocktails. Several marches set off in Bethlehem from the Duheisha refugee camp, Tuqu, al-Masara and Dar Salah areas. Dozens of Palestinian schoolchildren and tutors on Monday were treated for critical breathing disorders and gas injuries they sustained during an Israeli assault on two schools in the West Bank city of Ramallah. Local medics said at least nine pupils were rushed to Ramallah’s public hospital after they got suffocated and fainted due to tear gas inhalation. By-standers at the scene denied the IOF’s alleged charges that the students of the Beitouna school, located a long way from the flashpoints with the Israeli occupation, might have been involved in hurling stones at the Israeli occupation troops. The attack culminated in critical injuries among a number of female students at the Deir Ghassana School, many among whom were carried to a local clinic to receive urgent treatment. Monday, November 11: Israeli police kidnapped at least 58 Palestinians, including 10 children, in Kafr Kanna and Tur’an, in the Galilee, and in several other towns during overnight clashes, while the situation continues to deteriorate since the fatal shooting of Kheir Hamdan, age 22, late on Friday. 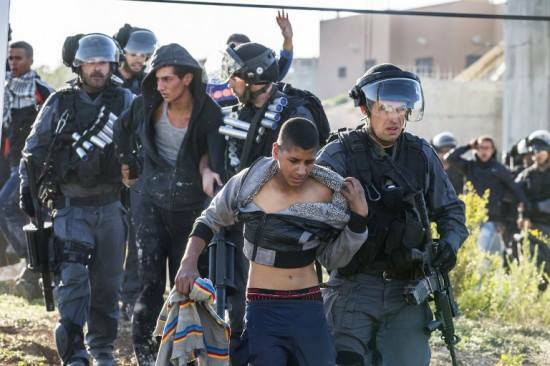 Arabs48 news website has reported that police arrested overnight 33 Palestinians, including 10 children in Kafr Kanna village, three in Tur’an village, four from Wadi ‘Ara and Um al-Fahem, and three from Tayibe. They were taken prisoner during clashes which took place with Israeli police after they surrounded and invaded towns involved with the general strike, in protest of the murder of Hamdan. The District Court in Nazareth ordered the release of seven Palestinians, including three who were forced to pay fines and received a conditional release; all were taken prisoner Saturday. 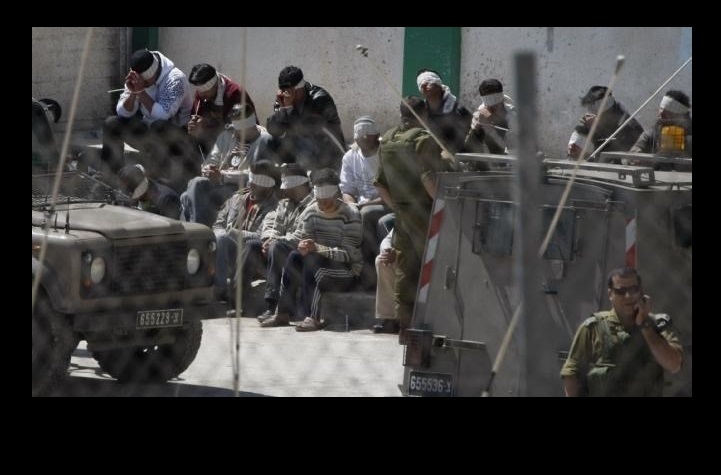 The District Courts in Nazareth and Tiberius will also be looking into the cases of 27 more Palestinians, especially since the police are demanding that they be detained for further interrogation. The Israeli police said they arrested more than 30 Arab protesters for “causing violence” and rioting in the streets of their towns. Arabs48 said that most of the clashes took place in Kafr Kanna, the hometown of Hamdan, and that police completely sealed the village. Dozens of local youth hurled stones at the police while they invaded their village; police sprayed them with water, firing both gas bombs and concussion grenades at them, as well. Clashes also continued in Um al-Fahem while police arrested, late on Sunday evening, at least four youngsters. Three more were taken prisoner in Wadi ‘Ara during similar protests and clashes. 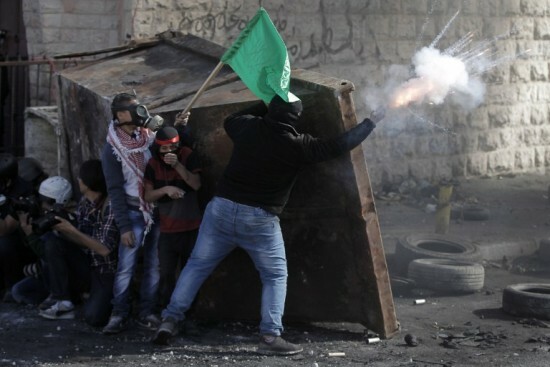 Overnight clashes also took place in al- Fureidis village, while many local youth threw stones and Molotov cocktails at police and army vehicles after the soldiers assaulted them, amidst the firing of gas bombs and concussion grenades. On Sunday evening, dozens of residents protested in Tayibe, while several youth chased an Israeli extremist who managed to run away, leaving his car behind before locals torched it. Police also arrested three residents, including a 15-year-old child. 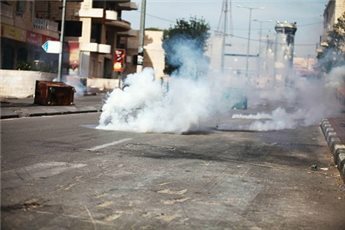 In Shfa-Amr, hundreds of Palestinians protested in the center of the town, as police fired dozens of gas bombs at them. Israeli police said, Monday, that some protesters threw Molotov cocktails at Israeli buses, in the Northern Triangle area, causing damage but no injuries. Police added that the protesters threw stones at buses near the Baqa al-Gharbiyya Junction, Um al-Fahem junction and Wadi ‘Ara junction. Hundreds also held protests in ‘Akka, Haifa, Kafr Manda and Rahat amidst extensive police presence. A general strike was held Sunday in every Arab village and town. A wave of violent clashes burst out overnight Sunday and at dawn Monday following a series of arbitrary mass-abduction campaigns and combing operations launched by the Israeli occupation forces (IOF) across the 1948 occupied Palestine and the West Bank. A state of tension has flared up in Kafr Kanna in the wake of Israel’s coldblooded murder of Palestinian youth Kheir al-Din Hamdan on Saturday. The Israeli occupation police claimed responsibility for the abduction of at least 29 Palestinian civilians on charges of potential involvement in the ongoing clashes that rocked Kafr Kanna, Umm al-Fahm, and Nazareth. 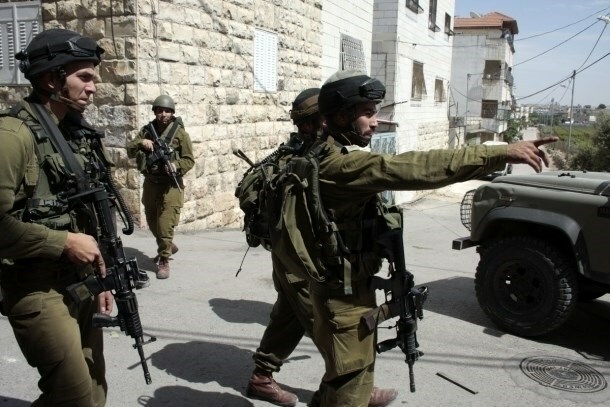 Three more Palestinian citizens were nabbed by the IOF in the nearby Turan village allegedly for having hurled stones. Sometime earlier, the Israeli occupation troops kidnapped a 15-year-old child in al-Tiba and four youngsters in Umm al-Fahm as part of a daily systematic terror camping aimed at propagating panic among children and innocent civilians and disbanding peaceful demos. The violent confrontations spread out to a village near Ramallah, where the heavily-armed Israeli occupation troops attacked dozens of Palestinian youths with random barrages of tear gas under the pretext of stone-throwing. Dozens of Palestinian civilians sustained gas injuries and breathing disorders in the process, Sinjil village mayor Ibrahim Alwan reported. Sinjil town has lately been a permanent target of Israeli settler vandalism perpetrated through frequent assaults on Palestinian homes and cultivated lands. In a related development, the IOF patrols overnight Sunday raided Beit Fourik, east of Nablus city, and deployed at al-Ka’da Mountain. The Israeli occupation soldiers further broke into Akraba, south of Nablus, and raked through the town. Palestinian medical sources in Gaza said several fishermen have been injured, late on Sunday at night and after midnight, after Israel Navy boats fired rounds of live ammunition and shells, at their boats, close to the shore of Rafah, in the southern part of the Gaza Strip. 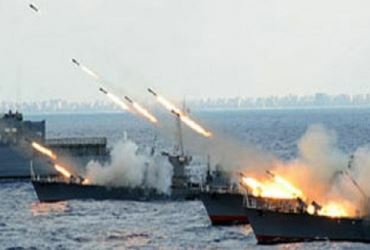 The Safa news Agency said Israeli boats chased, late on Sunday at night, several Palestinian fishing boats, in Palestinian territorial waters close to Egyptian waters, and fired dozens of rounds of live ammunition, and several shells, at them. One of the boats was destroyed and burnt, while the Navy also fired flares while military helicopters, and a drone, flew overhead. About an hour later, the fishermen who were onboard the targeted boats, managed to swim to the shore, and were moved to the Abu Yousef Najjar Hospital, in Rafah, suffering moderate-to-severe injuries. Another attack took place nearly at 12:40 after midnight; the fishermen jumped into the water just before the navy shelled their boat. The Israeli Navy said it targeted a Palestinian boat “returning from Egyptian waters” allegedly carrying “equipment and supplies,” and that the boat tried to evade the navy before the soldiers opened fire. A Palestinian minor was shot and injured at Hawara checkpoint, south of Nablus, on Friday night during confrontations with the Israeli occupation forces (IOF). Medical sources said that 17-year-old Yazan al-Hindi was hit with a live bullet in his knee and was hospitalized. Meanwhile, two other minors from Askar refugee camp in Nablus were arrested following clashes with IOF soldiers. Local sources said that the clashes started after IOF soldiers attacked young men who tried to march toward the wall surrounding the settlement of Elon Moreh. Palestinian medical sources have reported that at least 65 residents have been shot by Israeli rubber-coated metal bullets, while more than 207 suffered the effects of tear gas inhalation, during clashes with the soldiers in different parts of occupied East Jerusalem. The Red Crescent in the city said its medics provided treated to the wounded Palestinians, and moved many of them to local hospitals and clinics. 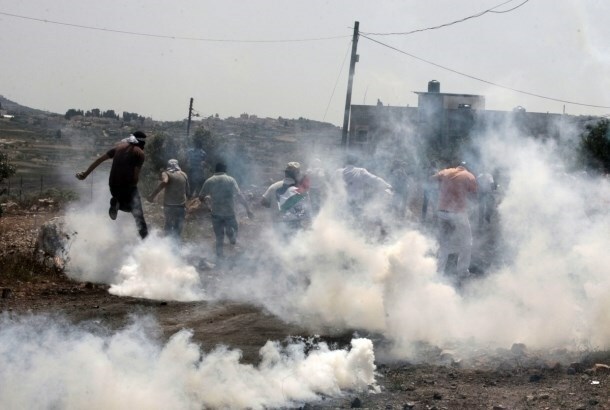 It added that 37 Palestinians have been injured by Israeli rubber-coated metal bullets, and around 150 suffered the effects of tear gas inhalation in Shu’fat refugee camp, north of occupied East Jerusalem. The clashes started following Friday noon prayers and lasted until late night hours, local sources said. In addition, 28 Palestinians were shot by rubber-coated metal bullets, and around 50 suffered the effects of tear gas inhalation during clashes with Israeli soldiers invading various neighborhoods of East Jerusalem, including Wad al-Joz, at-Tour, al-Eesawiyya, and the Old City. One of the wounded suffered fractures in his leg. The wounded residents received treatment by field medics, and some in a number of homes, as the ambulances could not transfer them to local hospitals and clinics due to extensive deployment of the Israeli army and police, especially since the soldiers blocked and sealed various roads and neighborhoods. Clashes also took place in the al-‘Eesawiyya town, after the soldiers invaded the Mahmoud neighborhood, and fired gas bombs into its alleys and at a number of homes. Mohammad Abu al-Hummus of the al-‘Eesawiyya Follow-up Committee, said dozens of residents suffered the effects of tear gas inhalation, seven of them were moved to a local hospital. One of the wounded is a month-old infant, identified as Hala Mahmoud Khalil. Abu al-Hummus said the soldiers continued their blockade of the town, after installing concrete blocks on its main entrances, in addition to keeping it completely surrounded. On Friday evening, clashes took place in Jabal al-Mokabber village after a number of Israeli settlers hurled stones at a number of Palestinian homes and cars, before the army fired gas bombs at the residents and their homes. The soldiers also used trucks to spray several homes, schools, and clinics with waste-water mixed with chemicals, especially in Wad al-Joz and al-‘Eesawiyya. On Friday at night, Israeli soldiers kidnapped a Palestinian near his home in the al-Wad Street, adjacent to the al-Aqsa Mosque. Clashes also erupted in Ras al-'Amoud and the ath-Thoury neighborhoods, and Sur Baher.